First two digits of 15 digits GSTIN represents State name of India. The next 10 digits is alphanumeric numbers of PAN number of person or firm engaged in Business. In the GSTIN, the State Code as defined under the Indian Census 2011 would be adopted. In terms of the Indian Census 2011, each State has been allotted a unique two digit code e.g. 9? for the State of Uttar Pradesh and „27? for the State of Maharashtra. 13th digit would be alpha-numeric (1-9 and then A-Z) and would be assigned depending on the number of registrations a legal entity (having the same PAN) has within one State. For example, a legal entity with single registration within a State would have „1? as 13th digit of the GSTIN. If the same legal entity goes for a second registration for a second business vertical in the same State, the 13th digit of GSTIN assigned to this second entity would be „2?.This way 35 business verticals of the same legal entity can be registered within a State. S.RAMANATHAN: On 12 June 2017 THIS ARTICLES IS VERY USEFUL TO US.BUT ONE DOUBT ie.Composit scheme dealer may be retailer or wholeseller. Composit scheme aplicable for Wholeseller.please explain this doubt. Bharath: On 01 August 2017 I had New registration in gst portal.i got arn number but I am received gstin number and password. 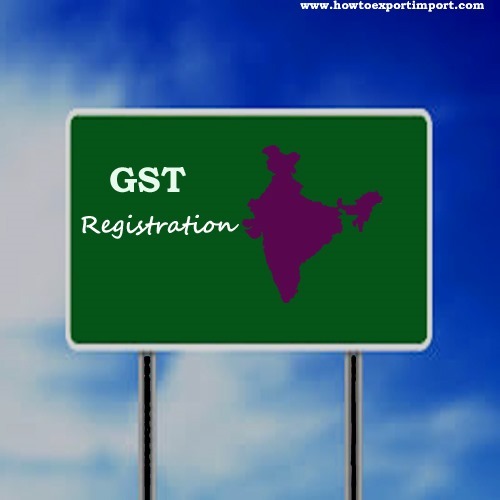 So how to I get gstin number and password I registered gst portal more than one month. A K MAURYA: On 09 August 2017 Dear Sir /mam, I have Party GSTIN No., name, address but no one provide party registered with regular or composition How can justify the same.